If you go by the figures, you can easily interpret that the chances of success of IVF might be 40%-50%. You may be lucky enough to conceive, or you may be not. But thinking negatively will adversely affect your chances of conceiving. So hope for the best and close your mind to the negative emotions erupting in your mind. Stay calm and indulge in activities like yoga and meditation. You will definitely feel positive after attending sessions in these two wonderful gifts the ancient civilizations have granted us. It will banish negativity and promote positivity. Take solace in the fact that you are not the only one with fertility problems. Around 1 in every 6 couple has problems in conceiving. If you look around carefully, many people are facing the dilemma you are in. With the social media providing ample support in every field, you are sure to find solace in the blogs related to similar people. You can get access to many IVF stories. The cyber world is plagued with information on every topic. You will feel quite reassured after reading these blogs. Surround yourself with people who genuinely care about you and will do anything to make you comfortable and stress-free. Being surrounded by such people will make the ambiance light and fun filled and you will forget all your worries. 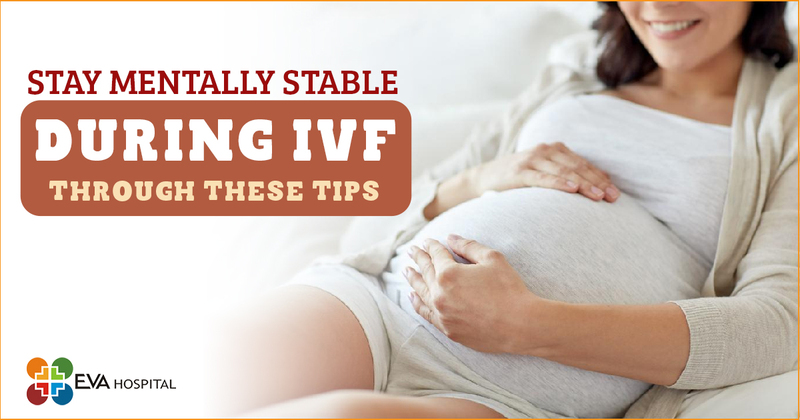 Fit the IVF schedule with your professional commitments. IVF requires a lot of tests, appointments and report analysis. Naturally, you will have to take out time for it. It is preferable that your doctor works within your natural ovulation cycle, using a low dose of fertility drugs or none of them. You can further schedule your appointments according to your work hours during the weekdays or keep it for weekends. Fewer fertility drugs will mean fewer side effects and fewer mental and physical upheavals, which may be good for your emotional health.